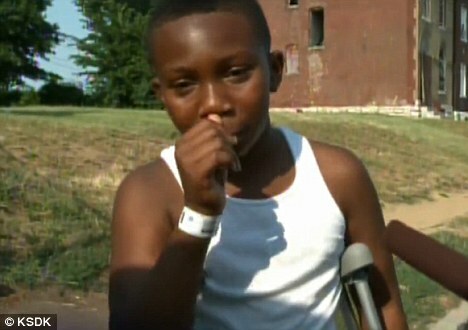 A St. Louis man has been charged on Friday with opening fire on three young boys, one of whom he hit, for setting off fireworks near his home. 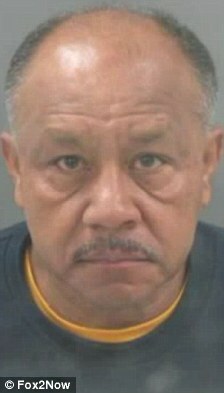 William Prada, a 56-year-old postal worker, now faces three counts of first-degree assault and three counts of armed criminal action. 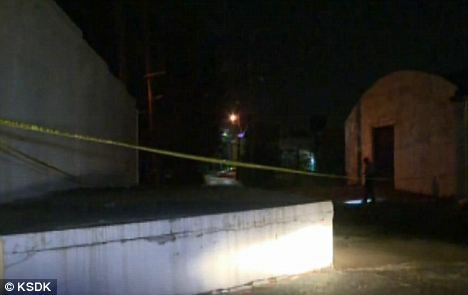 The shooting took place at around 9.40pm Thursday in the 4200 block of Blaine Avenue in the Botanical Heights neighborhood, according to the TV station KSDK. Police said 12-year-old Michael Scott was riding a bike with Christopher Nolan and another boy, both aged ten, while shooting off fireworks. Prada yelled at the boys to stop after they accidentally threw one of the fireworks in his direction. At that point, authorities said the 56-year-old pulled out a gun and fired several round toward the kids. As the boys were pedaling away on their bikes, Scott told KSDK he felt a sudden pain in his thigh and saw blood dripping down his leg. This was when he realized he had been struck with a bullet. 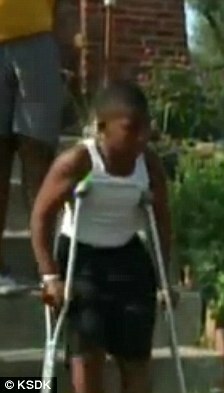 The round entered the 12-year-old’s upper left thigh and exited through his backside. ‘One millimeter to the left I probably would’ve died ‘cause it would’ve hit a major artery,’ Scott said. The boy was rushed to a local hospital in stable condition. He has since been released. Police said they recovered a firearm when they arrested Prada, who reportedly had confessed to the crime, according to Fox2Now. Those who know Prada have described him as an overenthusiastic block captain who frequently calls police on his neighbors.